A broken guitar is turning out to be a major break for Canadian musician Dave Carroll. Carroll has become an Internet sensation after posting a revenge song on YouTube about United Airlinesâ€™ baggage handlers breaking his guitar during a flight in the United States. 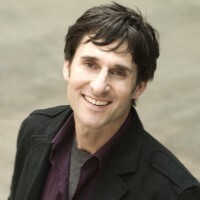 His video for the song “United Breaks Guitars” was posted on the popular file-sharing site Monday night and had received more than 600,000 hits by Thursday evening. Heâ€™s also received thousands of emails and a flood of friend requests on Facebook. “I was thinking Iâ€™d definitely get some action on (YouTube) because the song has been resonating so well with audiences as Iâ€™ve been performing it, but I didnâ€™t know it would take off like this,” Carroll said Thursday. On the same day as Michael Jacksonâ€™s memorial service Tuesday, Carrollâ€™s video was one of the most watched on YouTube. Carroll, 41, said itâ€™s ironic that his video has gotten far more attention than anything heâ€™s ever done in 15 years as a musician. Carroll, a guitarist for the pop-rock group Sons of Maxwell, might have to scrap plans to take it easy this summer as he fields calls for appearances. Since the clip appeared on The Chronicle Heraldâ€™s website Tuesday afternoon, Carrollâ€™s schedule has been packed with interviews. On Wednesday night, the story was featured on the Situation Room on CNN and has appeared in newspapers across Canada and the U.S. Even Oprahâ€™s people called Thursday afternoon. Along with emailed stories from people who empathize with his broken guitar and damaged luggage, Carroll has received a stream of requests for gigs from as far away as Las Vegas. The catchy song recounts Carrollâ€™s year-long struggle to get compensation for what he calls “a vicious act of malice” at Oâ€™Hare International Airport in Chicago last year. Carroll was flying between Halifax and Nebraska when he switched planes in Chicago. The passenger next to him noticed baggage handlers tossing guitar cases outside the plane. At first Carroll thought his Taylor guitar was destroyed. Even after paying $1,400 in repairs, it still doesnâ€™t play the way it used to but he keeps it for sentimental reasons. He played it on all eight of his bandâ€™s albums. The songwriter spent the past year trying to get compensation from United Airlines. When the airline refused to take responsibility, the songwriter made the humorous music video and posted it online. Some fans have praised Carroll in emails for dealing with the problem in what they say is a distinctly Canadian way. “They appreciate the high road that Iâ€™ve taken with the light-hearted approach to it and they say theyâ€™re proud to be Canadian because of it,” said Carroll. Taylor Guitars in California got in touch to say theyâ€™d be happy to see if they could repair the damaged guitar. They also promised a big discount on his next purchase. United Airlines also called to say it wants to discuss the situation. Officials for the airline reportedly said they liked the video and want to use it as a textbook case on how to handle customer complaints in the future. The video was shot in 12 hours with friends dressing up as flight attendants and musicians. Volunteer firemen played the baggage handlers who are shown playing catch with the guitar case and tossing it like a hammer throw. Carroll initially told United he would write three songs about his broken guitar. He plans to debut the second song in the next few weeks but hasnâ€™t written the third one yet.